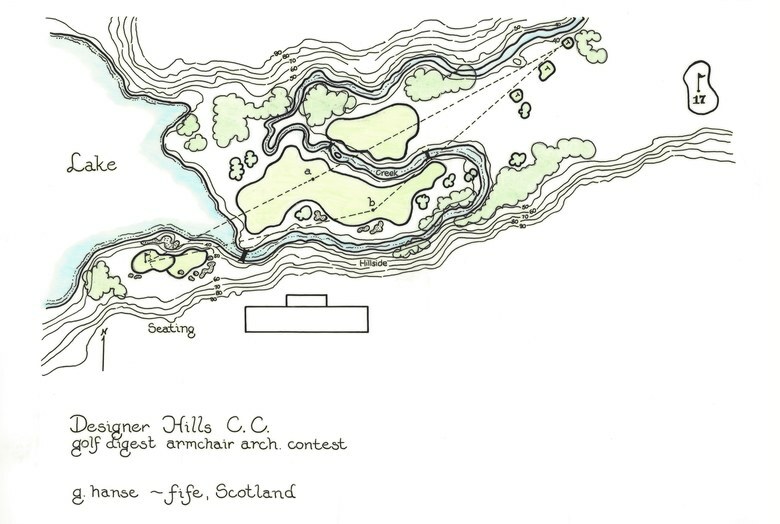 January 29, 2019 By: Ron Whitten — Back in the fall of 1987, Gilbert S. Hanse was a 24-year-old aspiring golf architect who’d just left Cornell University to spend six months in Scotland examining its great courses. During his stay, he took the time to enter Golf Digest’s first-ever golf design contest, one of thousands who sent in entries from around the world. Hanse’s entry (shown above) was a quarterfinalist, but it didn’t win. That didn’t hold him back. In 1988, Hanse returned to Cornell, earned a Master’s Degree, then began his very successful architecture business that has recently seen him create, among others, the venue for the 2016 Rio Olympics, the new No. 4 course at Pinehurst in North Carolina and the third 18 at Streamsong Resort in Florida, Golf Digest’s Best New Public Course of 2018.